I’m sure you’ve been to a family barbecue, either your family’s or another, where there’s a corny dad grilling on a Weber charcoal grille, wearing some sort of apron with “grill master” or something vaguely similar on the front. We’ve all been to that barbecue and we’ve all see that dad. And we all know that same “grill master” dad actually burnt the hell out of your burger, which tasted like a roof shingle covered in pine tar. So his apron was, and forever will be, a lie. 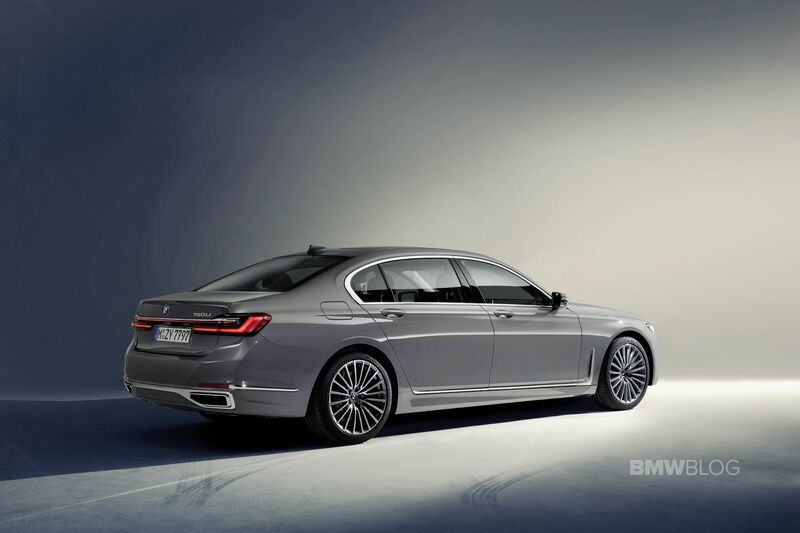 However, the newly facelifted BMW 7 Series needs that apron because, when it adorns the new 7er, it won’t be a lie. It truly is the master of grilles. For the newly facelifted 7 Series, there are quite a few new changes to talk about. But none command our attention like the massive, gaping holes in its face. 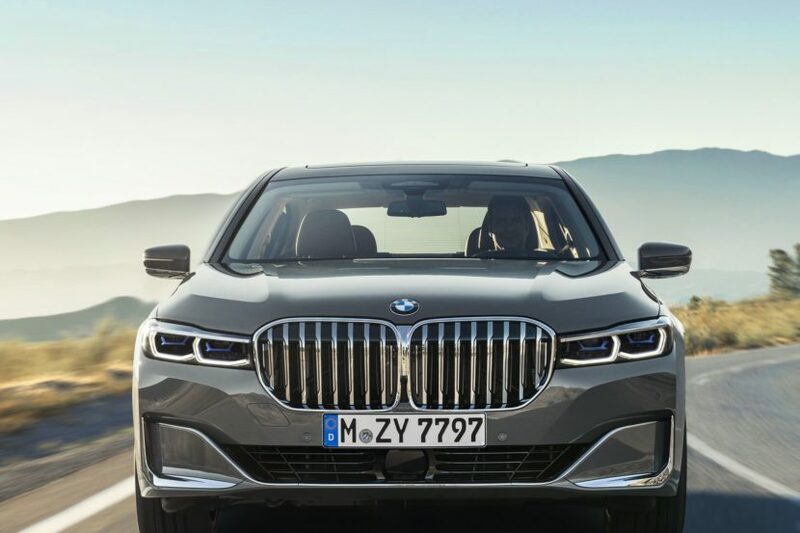 The new 7 Series LCI (Life Cycle Impulse, which means refresh in BMW-speak) essentially steals its Kidney Grille design from its older, and much larger, sibling, the BMW X7. Because of that, it has Grilles large enough to swallow small bovine creatures. That massive grille design is surrounded by a new single-piece surround, which makes two Kidney Grilles look like one gigantic grille. The grille has actually grown by 40 percent. Protruding outward from those massive nostrils on either side are two slender headlights that look comically small compared to the grilles. Inside those new headlights, a new halo design gives the 7er a fresh look. Laser lights are now available, which is actually really awesome, but full LED lights are as-standard. 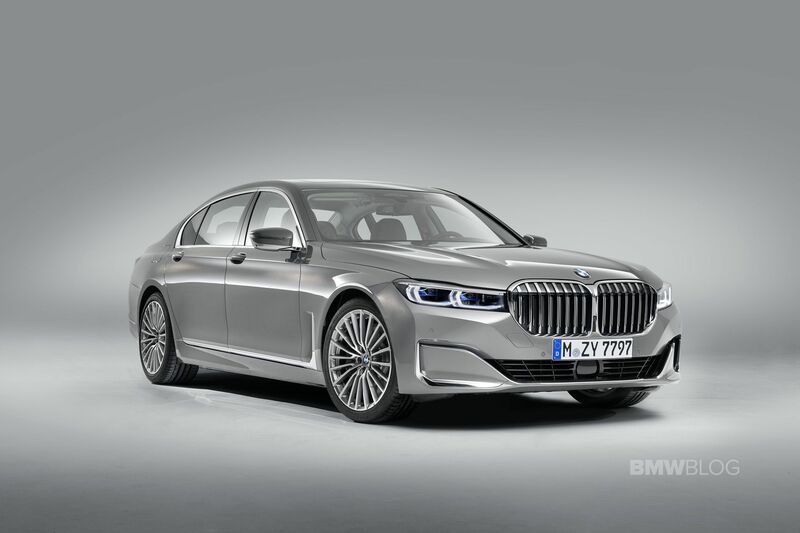 Despite all of my fun-poking, the new 7 Series LCI actually looks better than the pre-LCI car. Okay, maybe not exactly better but it certainly looks more interesting and eye-catching. The problem with the pre-LCI 7er was that it was too inconspicuous. The 7 Series is supposed to be understated but the original G11 7 Series was a visual snooze-fest. So this new LCI adds some much-needed visual drama, even if it might be a bit off-putting at first. It has character now, that’s for sure. And even if it’s not great character, it’s better than none at all. Beneath that new schnoz, the 7 Series actually has a really interesting styling cue in its standard guise. Flanking the lower front air intake are two angular vents where larger air intakes used to be. What’s interesting about them is that their almost the exact same ones seen on the old BMW Vision Luxury Future Concept from a few years ago. Cool touch. Another big change for the 7 Series is its “hockey stick” piece of trim, which is now more upright after the bend. So it looks less like a hockey stick and more like an Allen Wrench. Still, it looks better and more sophisticated. The vent of it is still functional as well. Out back, the Big 7 gets new taillights that look similar to those found on the new 8 Series, which are now connected via a light bar. 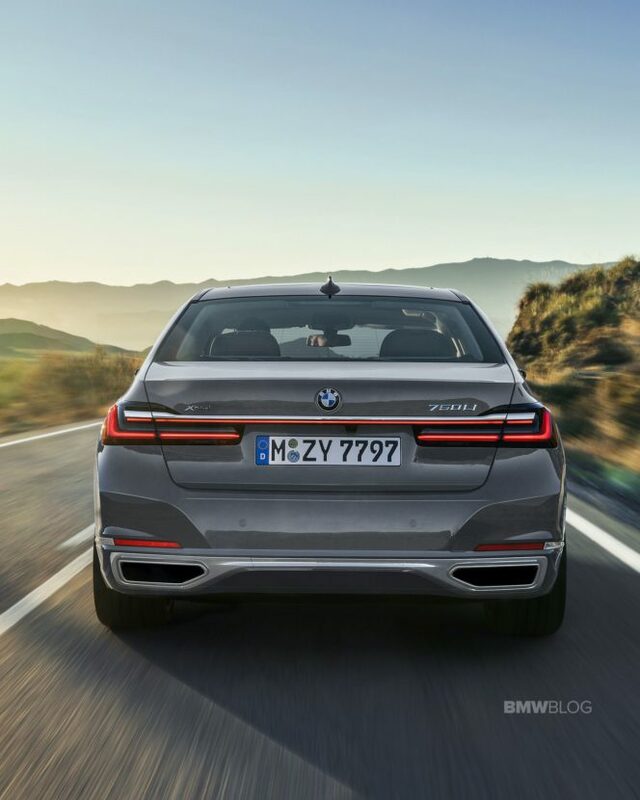 The LED, three-dimensional rear lights of the new BMW 7 Series are 1.4 inches slimmer than on the outgoing car. The integration of the light bar is actually quite seamless and looks really slick. 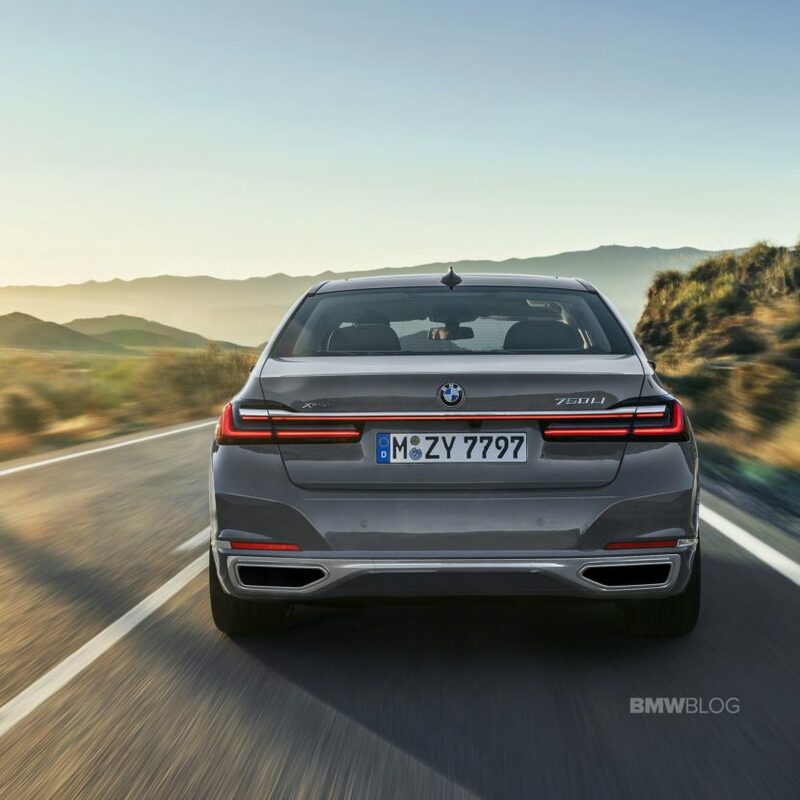 The integrated exhaust tailpipes have broader chrome surrounds, while the three-dimensional rear lights of the new BMW 7 Series are around 35 millimeters slimmer than on the outgoing car. A few new colors are available on the 7 Series; Bernina Grey Amber Effect Metallic, Royal Burgundy Red Metallic (anyone else think “Ron Burgundy for a second?) and Donington Grey Metallic. The latter of which is actually an M5 color, which is actually quite cool that you can get that on a 7er. Though, you need to select the M Sport package to get it, which kind of makes sense. Customers can also choose from four selected BMW Individual paint options, including the new shades Dravit Grey metallic, Tanzanite Blue II metallic and Aventurin Red metallic which replace outgoing Ruby Black metallic, Moonstone Metallic and Almandine Brown metallic. Azurite Black metallic joins the new Individual paints as a carry-over. 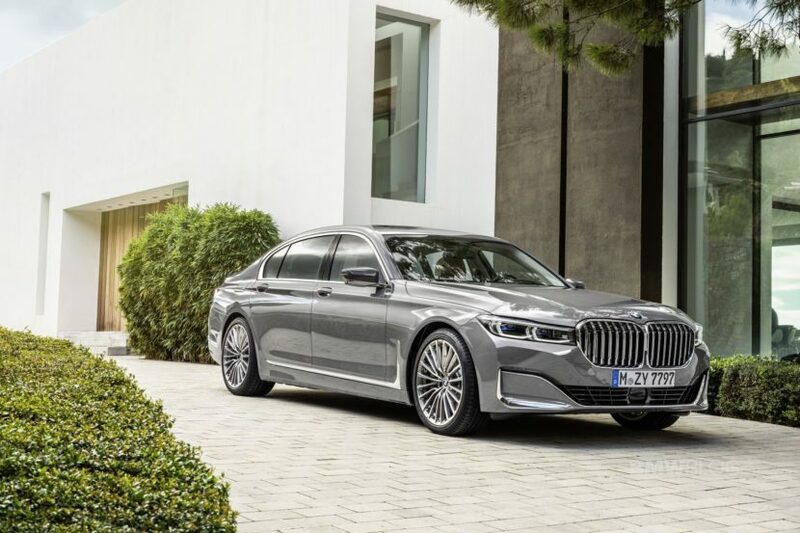 While the facelift makes the new 7 Series looks considerably different from the outside, it hasn’t changed much inside. 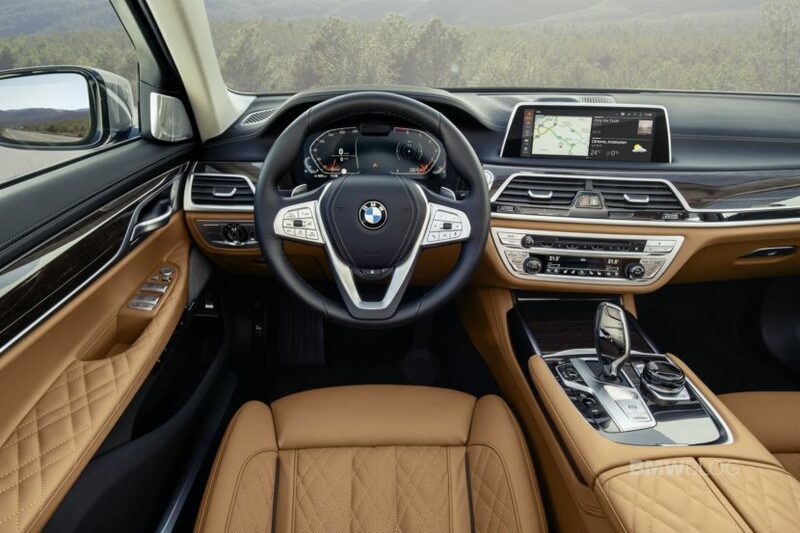 You still get virtually the same interior, just with some new gadgets, such as BMW’s latest iDrive system and its new Digital Cockpit. Those two new gadgets do add a whiff of whiz-bangery that it didn’t previously have. There is also a newly designed standard leather steering wheel with modified arrangement of the multifunction buttons. The standard wireless charging tray for compatible mobile phones is now located just ahead of the cupholders. The BMW Intelligent Personal Assistant is another element of the operating system. The digital companion can be activated with the spoken prompt “Hey BMW” and helps the driver to use various vehicle functions. 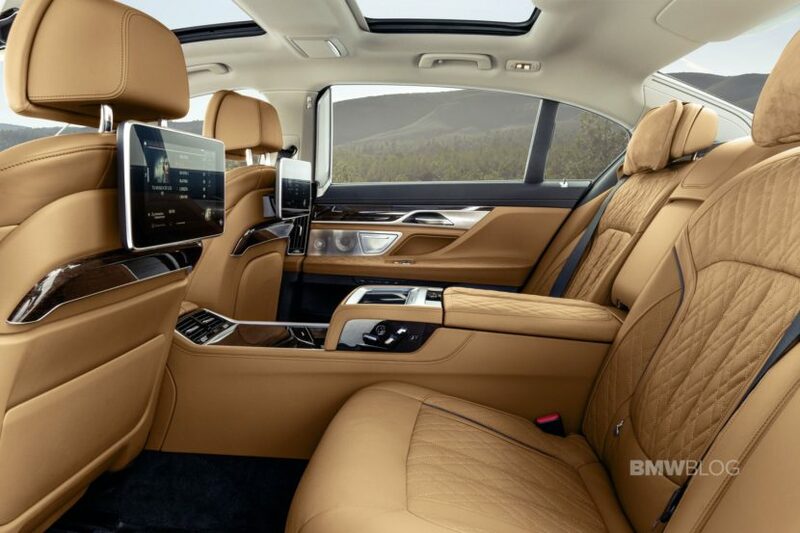 Aside from that, though, the changes are small but effective, such as the newly quilted leather armrests and the touchscreen-capable tablet screens on the front seat backs. Though, BMW did work on giving the 7 Series some additional luxury on the inside, the old-school kind. New shielding in the wheel arches prevent more road and tire noise from entering the cabin than before, while more sound deadening material has been added to the B-pillar area, seatbelt outlet covers and the rear seat backrest. All of the windows; including the windshield, side windows and rear window; received 0.2 inches of lamination to further prevent noise from entering the passenger compartment. Though, it must be said that the side and rear window lamination is only standard on the 750i and M760i models. 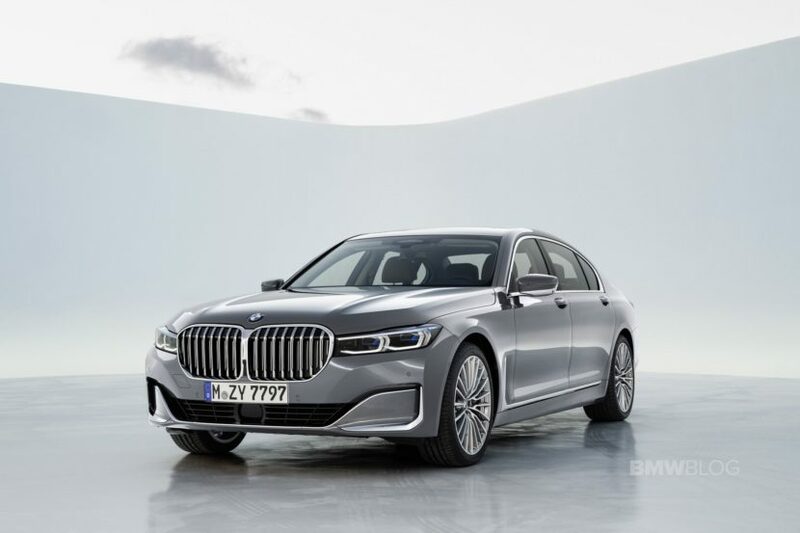 Speaking of models, the new 7 Series LCI variants are pretty similar to the ones you’re already familiar with, just with a few changes. 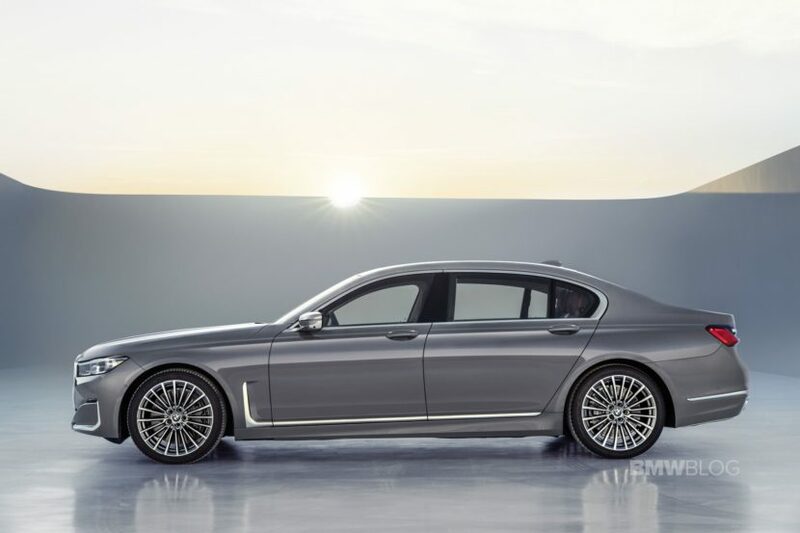 So the base model in the U.S. is the BMW 740i, which will pack BMW’s ubiquitous but excellent B58 3.0 liter turbocharged inline-six, which makes 335 hp and 330 lb-ft. 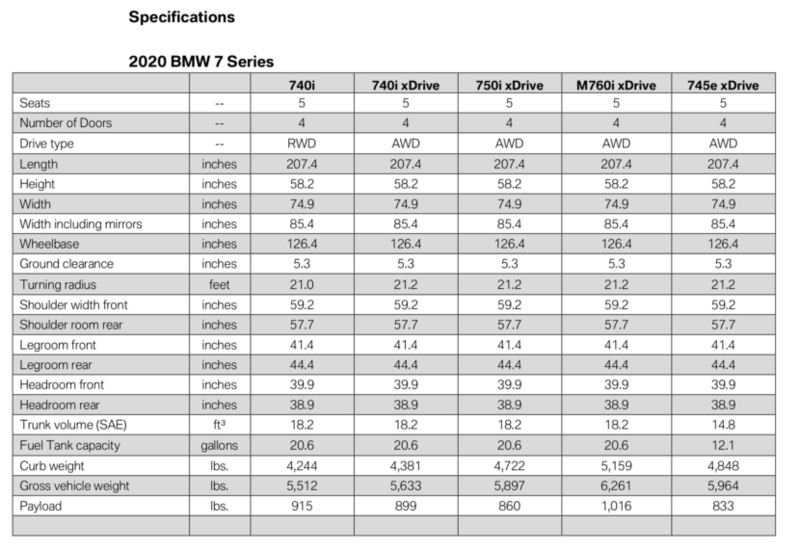 The BMW 750i xDrive gets the same new 4.4 liter twin-turbo V8 as the M850i, so it makes a very healthy 523 hp and 553 lb-ft. That 750i is capable of 0-60 mph in 3.9 seconds, which is seriously rapid, especially for a big luxury sedan. The big dog 7 Series is the M760i xDrive, which packs a 6.6 liter twin-turbo V12 that produces a monstrous 600 hp and 627 lb-ft of torque. That’s enough to catapult the M760i from 0-60 mph in a flash, doing it in just 3.6 seconds. In Europe, there will be three diesel engines available, all of them 3.0 liter turbocharged inline-sixes. Though, their turbocharger counts vary. The BMW 730d gets a single turbocharger and 265 hp, the 740d gets two turbochargers and 320 hp while the big boss 750d gets four turbochargers and 400 hp. All of them come in “L” long wheelbase models and all of them are available with xDrive all-wheel drive. Though, the biggest change is to the hybrid model. 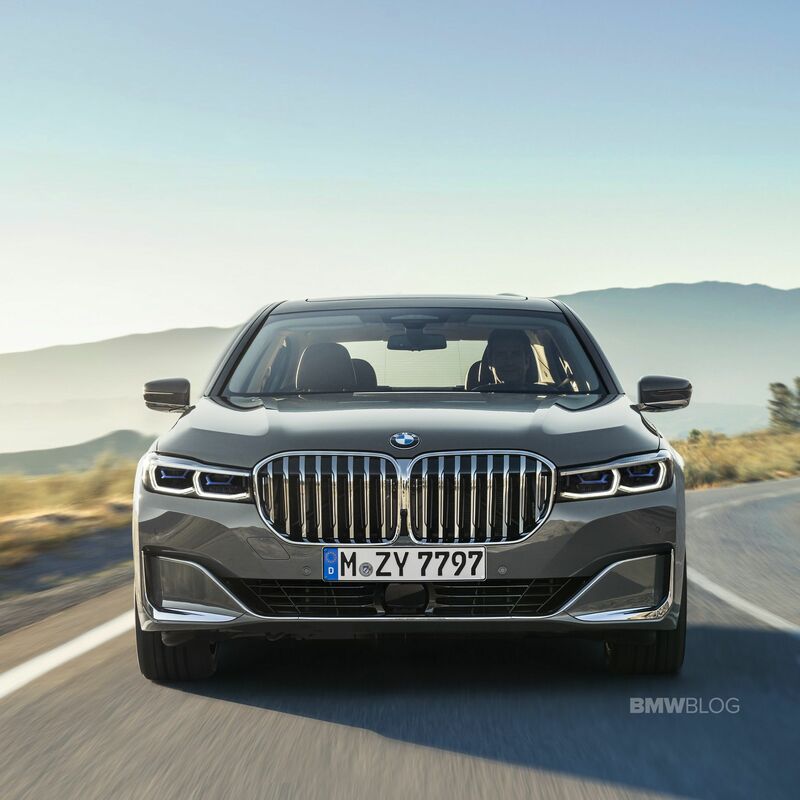 Replacing the BMW 740e is the new BMW 745e xDrive, which now has a 3.0 liter turbocharged I6 engine, rather than the old 2.0 liter four-pot. That new six-cylinder engine makes 280 hp and the electric motor paired to it makes 113 hp. Maximum total power output for the 745e is 389 hp and 442 lb-ft of torque, much more than the outgoing model. The sprint to 60 mph takes 4.9 seconds in the 745e, which is slower than expected but thank the extra weight of the batteries for that. Its all-electric range isn’t released yet but BMW says it will be as we get closer to its launch date. In Europe, a long-wheelbase model is also available. The Driving Assistant Professional has been refreshed as well to provide a comprehensive package of functions aimed at making driving as comfortable and safe as possible. They include the Steering and lane control assistant with Traffic Jam Assist, the Lane Keeping Assistant with active side collision protection, the evasion aid, the Cross Traffic Alert, Priority warning and Wrong-way warning systems, plus Active Cruise Control with Stop & Go function. The standard-fitted Parking Assistant helps the driver with parking and manoeuvring. And it now also includes the Reversing Assistant, which can reverse the car for distances of up to 50 metres by steering it along exactly the same line it took when moving forward. The new BMW 7 Series will again be offered in two body variants, the longer of which translates its extra 14 centimetres of wheelbase into a similar on- board space gain for the rear-seat passengers. The standard 7 Series (5,120 mm) and its long-wheelbase twin (5,260 mm) are both 22 millimetres longer than their respective predecessors. 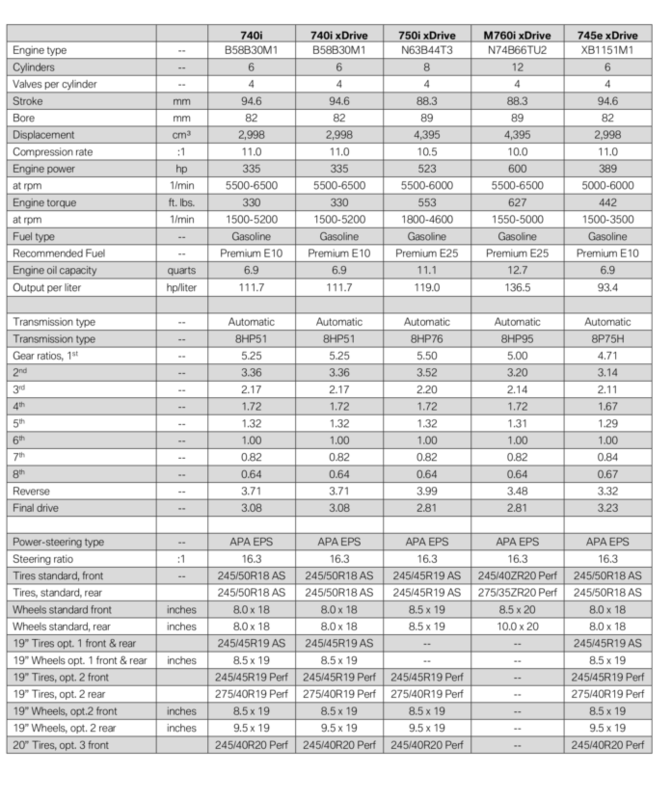 The new model’s width (1,902 mm) and height (1,467 mm / long-wheelbase version: 1,479 mm) remain unchanged. The extensive design refresh at the front end now rises 50 millimeters taller at its foremost point. 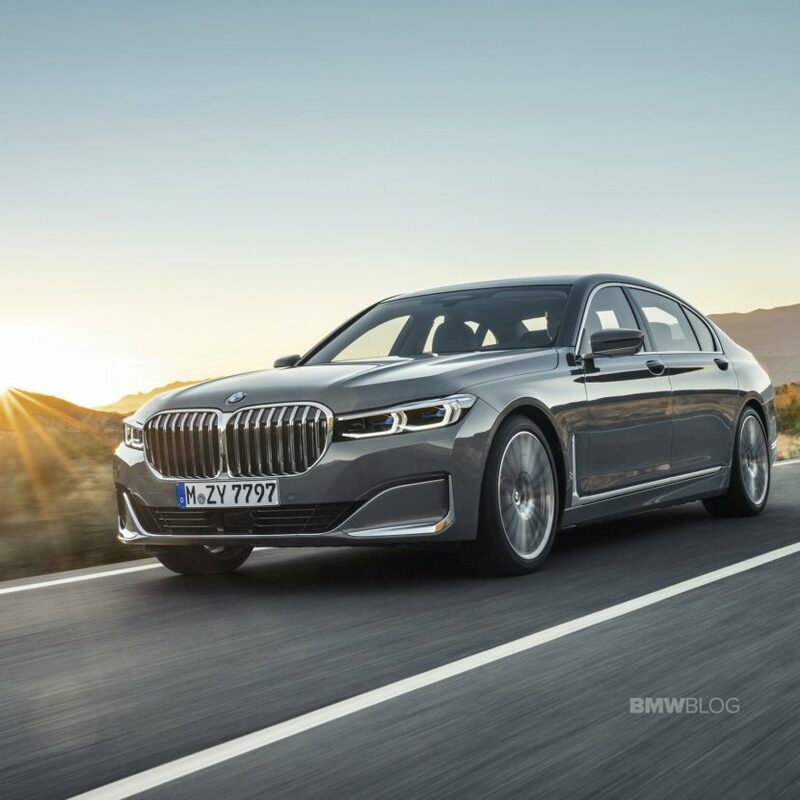 Overall, the new 7 Series LCI doesn’t bring about any monumental changes but it does make it different enough to help keep it competitive in the segment. Sure, most enthusiasts will just laugh at the fact that its grille looks like Gary Busey’s teeth, but that’s sort of its charm. 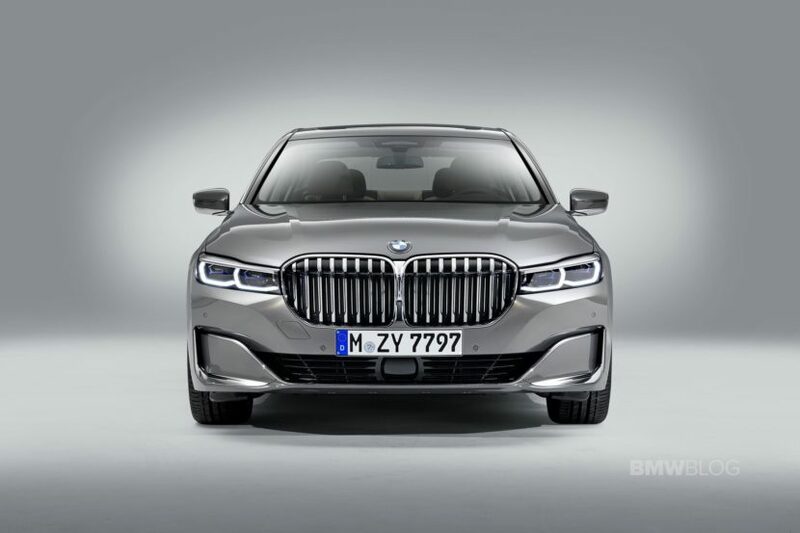 Say what you will but the new BMW 7 Series LCI truly is the Grille Master.